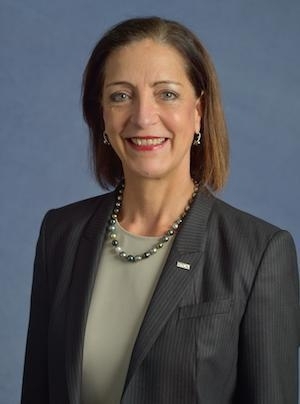 RTCA has just announced that Margaret T. Jenny, President, has informed the Board of Directors of her intention to retire from RTCA this August, at the end of her second 5-year contract. RTCA’s Board will initiate a search process to identify a successor for her. “It has been an honor and a privilege to lead this organization for the past 10 years, and I am proud of what our team, and the hundreds of participants on our committees have accomplished. Together we have shown what can be accomplished when people with different agendas, and even competing interests, set their minds to finding common ground and hammering out consensus-driven solutions to seemingly intractable problems,” said Jenny (pictured). "During her 10-year term, Margaret has significantly enhanced RTCA’s reputation as a forum for industry collaboration, consensus and accountability,” said NBAA president and CEO Ed Bolen, an RTCA board member, in a news release. “In 2009, she led a pioneering effort to establish the organization’s legendary Task Force 5, which laid the groundwork for the NextGen Advisory Committee. That committee now spearheads the work of government and industry stakeholders, working from a data-driven roadmap, to help establish NextGen priorities, timelines and metrics. Bolen noted that Ms. Jenny’s leadership at RTCA has been recognized and applauded by stakeholders representing major airlines, airports, manufacturers, community groups, policymakers and providers of emerging technologies.